(nee Teichmiller) Our Lord has brought Nona home Sunday, September 4, 2016 at the age of 90. Nona was born on February 26, 1926 in Fond du Lac, Wisconsin to parents Alfred and Lillian Teichmiller. She is preceded in death by her beloved husband Edward P. Suminski. 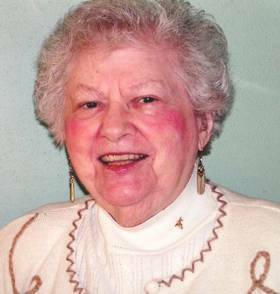 Nona was loved by the Suminski and Teichmiller families, and many nieces, nephews and friends.